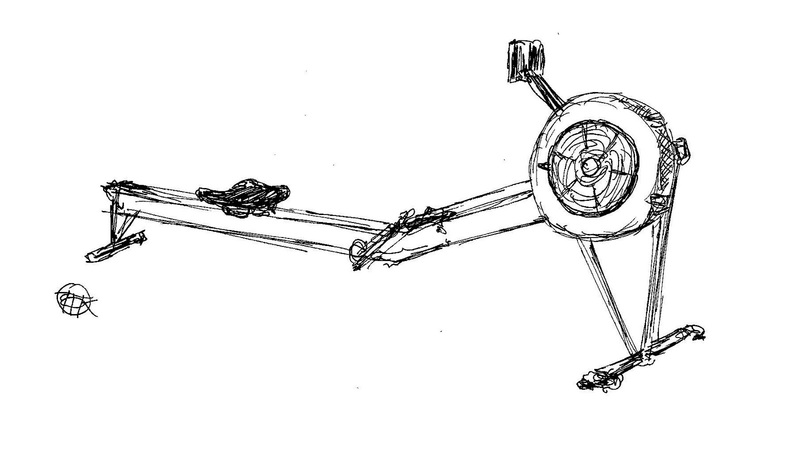 Last week, we published this story on the potential issue of doping in rowing. Rather amazingly, since then, we've seen Italian 2012 Olympian Niccolo Mornati receive a four-year ban on doping charges, and now the below, from FISA earlier today. FISA Executive Committee has seriously noted that the sport of rowing is implicated. FISA has immediately requested that WADA supply copies of the evidence presented in this report so that a legally sustainable basis for possible actions is in FISA’s possession. 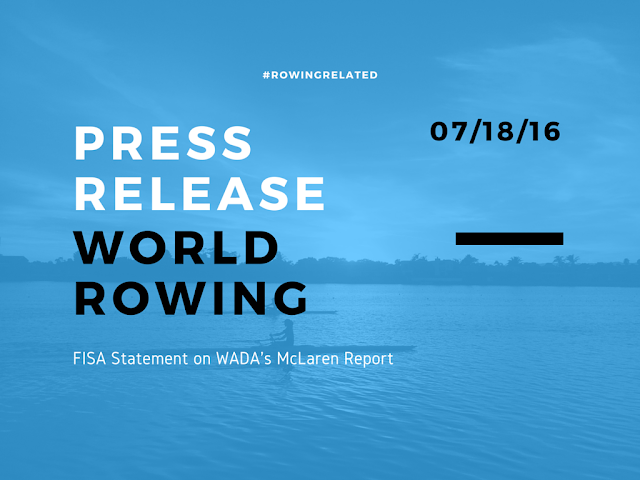 FISA has also immediately started to consider possible outcomes from the allegations of the McLaren report and the potential impact on the 2016 Olympic and Paralympic Games regattas. 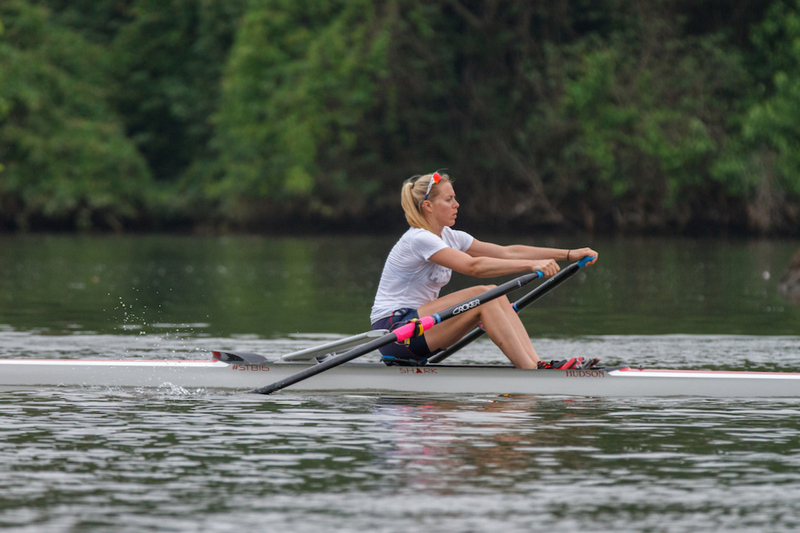 The fight against doping and protecting the integrity of rowing and its athletes are top priorities for FISA which has spearheaded the implementation of doping controls as well as other important anti-doping measures. FISA continuously monitors all testing of rowers in the world, in accordance with its rules and, as outlined in its Anti-Doping Bye Laws, FISA follows World Anti-Doping Code’s procedure for testing, notification and the hearing of all doping cases. The FISA Anti-Doping Bye-Laws can be found here. Questions should be directed to info@fisa.org related to this issue. The Executive Committee of FISA, the World Rowing Federation, convened by telephone conference call yesterday evening, after the release of the WADA Executive Committee’s recommendations on the McLaren report issued Monday evening [click here] and the IOC Executive Board’s Statement following their meeting of Tuesday [click here]. WADA: the recommendation by the WADA Executive Committee that the IOC and the IPC consider declining all entries submitted by the Russian Olympic Committee and the Russian Paralympic Committee for Rio2016. It also recommended that IFs from sports implicated in the McLaren report consider their responsibilities under the World Anti-Doping Code with regard to their Russian National Federations. FISA has written to the IOC to ask if there is a deadline for the re-allocation of any possible quota slots if there would be a blanket ban on the Russian team or any other ban. Russia has five crews in the Rio Olympic Games and two crews in the Paralympic Games. FISA has asked WADA to hold a meeting with IFs immediately following the release of the evidence referred to in the McLaren report. This post will continue to be updated as more information comes to light.